Como de costume a Global Knowledge realizou uma pesquisa de quais certificações pagam melhor no mercado Americano. -Galera, essa pesquisa é realizada com diversos profissionais de T.I e muitas vezes o profissional tem uma ou mais certificações da lista. - A lista serve como uma base do que será tendência nos próximos anos. The nonprofit group ISACA, which formerly stood for Information Systems Audit and Control Association, but now is an acronym only, offers and manages the CRISC certification. This certification is designed for IT professionals, project managers and others whose job it is to identify and manage IT and business risks through appropriate Information Systems (IS) controls. The CRISC certification from ISACA, introduced in 2010, covers the entire life cycle, from design to implementation to ongoing maintenance. Competitiveness factor: More than 20,000 people worldwide have earned this credential, and 96% of those who have earned it keep it current. Because of the demand for professionals with these skills and the relatively small supply of those who have them, CRISC is the highest-paying certification on the list year. In addition, Continuing Professional Education (CPE) credits are required each year to maintain your certification. Achieving CRISC certification requires ongoing effort and years of planning, but it has been a top certification for years and with the growth of cloud computing will stay in high demand for years to come. ISACA also created and maintains the CISM certification. It’s aimed at management and focuses on security strategy and assessing the systems and policies in place. Competitiveness factor: More than 32 ,000 people have been certified since its introduction in 2002, making this a highly sought-after area with a relatively small supply of certified individuals, like the CRISC. Path to certification: The exam is only offered during the same three eight-week periods (in 2017, they are May 1 – June 30, August 1 to September 30, and November 1 to December 31) as the CRISC is, and is computer-based and is registered for and available at the same locations making taking the exam more of a challenge. It also requires at least five years of experience in IS, with at least three of those as a security manager. Your experience must be within the 10 years before taking the exam or five years after passing it, however unlike the CRISC for which there are no exceptions to the experience requirement, there are some alternatives to the experience requirement for this certification. Continuing education credits are required each year to maintain your certification. The AWS Certified Solutions Architect Associate-level exam demonstrates an individual’s expertise in designing and deploying scalable systems on AWS. It’s unsurprising to see this certification in this year’s top 15 due to the market need for skilled and certified AWS solutions architects. This is just the first step to achieving the AWS Certified Solutions Architect – Professional certification. According to this year's salary survey responses, each of the five AWS certifications available report an average salary of more than $100,000 (the average among them all is $125,591). Competitiveness factor: There are more than 10,000 certified individuals, according to Quora which is a very small number given the popularity of the AWS platform, driving up salaries for certified individuals. Path to certification: To get certified, you need to have some hands-on experience with AWS (they suggest six months or more). The exam is computer based and offered at Kryterion testing centers. You can also take our official Architecting on AWS course and/or the official exam readiness course, both which will help prepare you for the exam. The AWS Certified Solutions Architect – Associate certification exam addresses a range of topics, including designing on AWS, selecting the appropriate AWS services for a given situation, ingress and egress of data to and from the AWS environment, estimating AWS costs, and identifying cost-control measures. Offered by the International Information Systems Security Certification Consortium (ISC)2 as a vendor-neutral credential, CISSP is designed to prove security expertise. As with the other security-related certifications, demand is high and is projected to be so for many years to come, but unlike the others, you can earn an associate credential while working on the required experience, making this a valuable certification for those wanting to get into the security field. Competitiveness factor: There are nearly 111,000 certified people worldwide, with approximately two-thirds of them in the United States. Path to certification: The exam is offered at Pearson Vue Testing centers. It also requires at least five years of experience in IS, with at least three of those as a security manager. Your experience must be within the 10 years before taking the exam or five years after passing it, however unlike the CRISC for which there are no exceptions to the experience requirement, there are some alternatives to the experience requirement for this certification. Continuing education credits are required each year to maintain your certification. CISSP candidates must have at least five years of full-time, paid experience in at least two of the eight areas tested. If you don’t have the work experience, you can still earn an (ISC)2 Associate designation by passing the exam while working toward the full certification. You will have up to six years to complete the required experience. The exam is based around eight areas in computer security, including security and risk management, communications and network security, software development security, asset security, security engineering, identity and access management, security assessment and testing, and security operations. To remain certified, CISSPs must earn Continuous Professional Education (CPE) credits every year. The fifth highest-paying certification is PMP. It was created and is administered by the Project Management Institute (PMI®) and is the most recognized project management certification. Competitiveness factor: There are almost 730,000 active PMPs in 210 countries and territories worldwide. Path to certification: The PMP certification exam tests five areas relating to the life cycle of a project: initiating, planning, executing, monitoring and controlling, and closing. PMP certification validates expertise running any kind of project and is not specialized by industry. CISA certification is usually obtained by those whose job responsibilities include auditing, monitoring, controlling, and/or assessing IT and/or business systems. It is designed to test the candidate’s ability to manage vulnerabilities and propose controls, processes, and updates to a company’s policies to ensure compliance with accepted IT and business standards. Competitiveness factor: CISA certification is ISACA’s oldest, dating back to 1978, with more than 126,000 people certified since its inception. Path to certification: CISA certification requires at least five years of experience in IS auditing, control or security and passing an exam that is only offered during three eight-week windows per year, like the other ISACA exams. Maintaining CISA certification also means earning continuing professional education credits each year. CCP-V certifies that candidates can deploy applications and virtual desktops using a variety of Citrix technologies, primarily XenDesktop 7. CCP-V is a newer certification from Citrix that replaced Citrix Certified Enterprise Engineer (CCEE) certification, which was retired in November 2014. Competitiveness factor: While the number of certified individuals is elusive for Citrix certified individuals, demand is fairly high and supply low to command a premium salary. Path to certification: Focused on XenDesktop 7, CCP-V requires that candidates have already earned Citrix Certified Associate – Virtualization (CCA-V) certification (described below). CCP-V certification is valid for three years. However, note that renewing the CCP-V does not automatically renew the CCA-V as each certification must be individually renewed, unlike many other certifications. Over the last 30 years, ITIL has become the most widely used framework for IT management in the world. Why? It’s a set of best practices for aligning the services IT provides with the needs of the organization. It covers everything from availability and capacity management to change and incident management, in addition to application and IT operations management. ITIL selects and authorizes partners who provide education, training and certifications. These authorized and accredited partners (Global Knowledge is one of them) develop the training and certification around the ITIL framework. ITIL Foundation is the entry-level ITIL certification and provides a broad-based understanding of the IT life cycle and the ITIL concepts and terminology. This is another area that has been in our top 15 list for years and is expected to remain so for many years in the future. Competitiveness factor: This certification is widely used and accepted as a framework for managing the IT lifecycle. As such, it is different from the other certifications on this list and is one of the few that focuses on the intersection of IT and the needs of the business. Path to certification: To become certified, you must simply pass the exam; there are no other prerequisites for the Foundation exam. The VMware Certified Professional (VCP) is VMware’s oldest and its former entry-level certification. As VMware’s product portfolio has grown over the last several years, the company decided that a single certification was not sufficient. Now, VMware Certified Associate (VCA) is an entry-level certification, and several VCP tracks exist, enabling VCPs to specialize. Advanced tracks also exist to show greater depth of knowledge. The only VCP track to break the top 15 this year—due to number of responses, not salary—is the Data Center Virtualization track, the largest and oldest of the VCP tracks. VCP-DCV certifies one’s knowledge of and ability to perform basic deployment and administration of vCenter and ESXi. Competitiveness factor: Just as Amazon is the largest cloud provider in the world, VMware is the largest virtualization vendor and thus there is strong demand for certified people at all organization sizes to install and maintain a virtualization infrastructure. Given that more than 75% of all servers installed on-premises are virtualized according to Gartner, there is a huge market need. Path to certification: According to VMware’s policy established in 2014, in order to remain certified, every two years, VCPs must recertify on their current track, take an exam in another VCP track or take a higher-level exam. Also, with the release of vSphere 6, becoming certified requires two exams: a Foundations exam that applies to all tracks and a track-focused exam, although if you have a current VCP certification in data center virtualization, you can take a single delta exam; similarly if you are currently certified in another VCP track, you can take just the DCV exam. The VCP5-DCV track is scheduled to be retired March 31st as it has been replaced by the VCP6-DCV. CCA-N is also a newer certification from Citrix that replaced the Citrix Certified Administrator (CCA) for Access Gateway certification, which was retired in July 2016. Focused on implementing the NetScaler Gateway to provide access to desktops, applications, and data, it is different from the other CCA and CCP exams covered here in that the CCP-N does not require the CCA-N first as it is focused on using the NetScaler for traffic management, load balancing, and other network engineering tasks instead. CCA-N certification covers the basics of assessing the environment and then designing the NetScaler implementation, followed by implementing the NetScaler for desktop, application, and data access, including high availability, security, auditing, and integration with third party products. It also covers how to troubleshoot issues with the NetScaler in these areas. Like all Citrix certifications, the CCA-N certification is valid for three years. 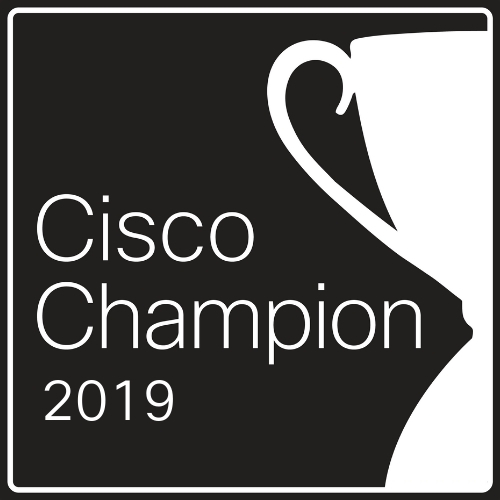 Competitiveness factor: While the number of certified individuals is elusive for Citrix-certified individuals, the NetScaler is a popular piece of infrastructure and is widely used in Citrix deployments. It is also somewhat complex requiring a good foundation in basic networking. Path to certification: You can become CCA-N certified by simply passing the exam. This certification will retire on March 31, 2017 and be replaced by the MCSE: Cloud Platform and Infrastructure certification which is one of the five new expert-level areas of competence. In fall of 2016, Microsoft streamlined its MCSE offerings and migrated all current MCSE certification holders to one of four new specialties. The first one of which made it on the list this year, Cloud Platform and Infrastructure. This expert-level certification validates skills needed to run a highly efficient and modern data center, with expertise in cloud technologies, identity management, systems management, virtualization, storage, and networking. All Windows Server and Azure exams can be found in this portfolio. The other three MCSE areas are Mobility, Productivity, Data Management and Analytics. Competitiveness factor: Whether Windows is deployed on-premises or in the cloud, understanding how to deploy it well is critical and that’s what this certification is all about. Path to certification: It builds on the foundation of either on-premises skills (MCSA: Windows 2012 or MCSA: Windows 2016), or cloud skills (MCSA: Cloud Platform or MCSA: Linux on Azure), adding a single elective exam. These new MCSE credentials do not expire or require recertification. However, each calendar year, you have the opportunity to re-earn the certification and receive an additional entry on your transcript. You do this by passing a unique exam from the list of electives, which demonstrates your continued investment to broaden or deepen your skills in a specific technology area. This foundational level certification demonstrates competency with server administration tasks as well as configuring both network and Active Directory infrastructure. Competitiveness factor: This OS is nearing the end of its lifecycle and will no longer be supported soon, so it may be worthwhile to upgrade to Windows 2012 or 2016. MCSA Server 2008 is scheduled for retirement in July 31, 2017. Path to certification: Upgrading to MCSA: Windows Server 2012 or 2016 requires only a single exam. The last Citrix certification that makes our top 15 list this year is the CCA-V. Like the other CCA and CCP certifications, it is a newer certification that replaced the Citrix Certified Administrator (CCA) for XenDesktop and the Citrix Certified Advanced Administrator (CCAA) for XenDesktop certifications, which was retired in July 2015 for XenDesktop 5 and July 2016 for XenDesktop 4. Focused on XenDesktop 7, CCA-V certification covers the basics of managing, maintaining, monitoring and troubleshooting. It is designed for desktop and application administrators and the technical support staff that support those users and is an entry level certification for Citrix. Note that like most certifications, upgrading to the CCP-V increases the average salary (this year from $99,411 to $105,086), and is a good idea to progress in your career as well. Competitiveness factor: While the number of certified individuals is elusive for Citrix certified individuals, demand is fairly high and supply low to command a premium salary. It is also a prerequisite for the CCP-V at number 7 above. Learn more about the Citrix Certified Associate – Virtualization (CCA-V) certification. The only Cisco-related certification on this year’s list is the CCNP Routing and Switching. This certification shows mastery of Cisco switch and router planning, installation, configuration, and troubleshooting. Competitiveness factor: This certification has staying power. A form of Cisco certification in this area has been on our top 15 list for years. With this year’s results it further cements itself as one of the premiere certifications that is always in demand. While other areas come and go, routing and switching is something that is required for almost all organizations, whether they keep their data locally or in the cloud. Path to certification: Achieving CCNP certification requires that you have achieved CCNA Routing and Switching or any CCIE and that you pass three exams, one for routing, one for switching, and one for troubleshooting. It demonstrates competency with server administration tasks, such as file and storage configuration, configuring and managing high availability, group policy, and virtualization, as well as configuring both network and Active Directory infrastructure. It covers both Windows 2012 and 2012 R2. Competitiveness factor: Microsoft has been working hard for years to be at the center of the datacenter, and thus demand for certified professionals has been and is still quite strong. Path to certification: As mentioned previously, this is the one of the foundational certifications required to obtain the MCSE: Cloud Platform and Infrastructure. A few certifications stand out in our survey results for their popularity. Though ITIL® Foundation is the most popular of the highest-paying certifications based on the number of responses we received in this year’s survey, it is still not as popular as those in the list below. That makes those in this list ideal jumping off points for higher certifications and indicates that specializing in an area can help you stand out and increase your pay. This list also shows that, based on our salary survey responses, even entry-level certifications pay pretty well. All but four of the top 15 certifications pay $100,000 or more, and the two of the four that don’t are just a few hundred dollars shy. Four are in security (1, 2, 4, and 6). Four are in virtualization and cloud computing (3, 7, 9, and 13). Three are based on Windows knowledge (11, 12, and 15). Two are in business (5 and 8). Two are in networking (10 and 14). The top six certifications were also in last year’s top 10, and nine of the 15 were also in the last two year’s top 15.
Review last year’s article to see which ones continue perform well. John Hales is a Global Knowledge Instructor for AWS, SoftLayer, and VMware. He is also the author of many books, including technical books from Sybex, exam preparation books, and many quick reference guides, in addition to custom courseware for individual customers. His latest book on vSphere is “Administering vSphere 5: Planning, Implementing and Troubleshooting.” Hales has various certifications, including VCP6-DCV, VCP6-DTM, VCAP-DCA, VCI, AWS SysOps Administrator – Associate, AWS Solutions Architect – Associate and others from AWS, VMware, Microsoft, EMC, and CompTIA. He lives with his family in Sunrise, Florida. Guest authors Paige Smith, Cassie Demeter, Jim Martin and Kathy Miller contributed to this article.